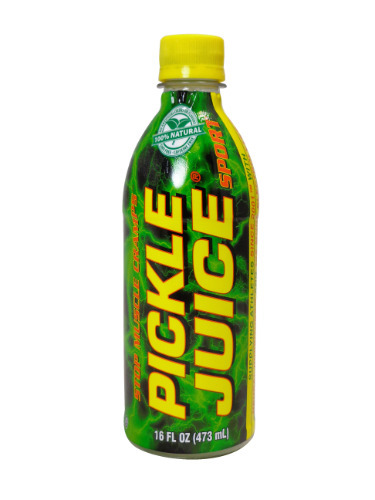 FRESH 16oz plastic bottles Pickle Juice Sport!! Supplying athletes since 2001, this functional beverage contains natural inhibitors and 10X more electrolytes to help treat muscle cramping. Drink prior to or during exercise to prevent muscle cramps. Drink at onset of muscular discomfort to stop muscle cramps. Sugar free, caffeine free, gluten free, no protein allergens, no artifical preservatives, no artificial colors or flavors, non-carbonated and no genetically modified organisms.